Frozen curries direct to your door. Choose from a Mixed, Luxury, Vegan or Your Choice box. Tuesday: Whitstable & Herne Bay, Wednesday: Thanet, Thursday: Canterbury, Friday: Sandwich, Deal. Plus surrounding villages. 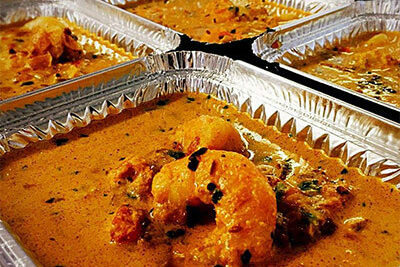 Pick £40 of your favourite curry, sides, dhal, rice, bread and bhaji. Local Delivery is just a £40 minimum order plus £5 delivery, National Delivery for those outside of our Local Delivery area requires you to choose from our box options. 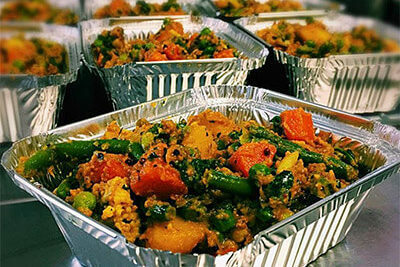 Get The Chai Stop Curries sent directly to your door with Curry club. For customers outside of our Local Delivery areas. Thank you for your interest in the Curry Club. Please note we do not have an automated online ‘checkout’ option due to the nature of the business and the element of dealing with the delivery of frozen goods. Once we have received your order we will call you for payment and delivery date, we are a small team but will get back to you as soon as we can. Alternatively, you can call our kitchen on 01304 619858 to place your order. Opening hours for phone orders are Tuesday – Thursday 9.30am – 3.30pm for next day delivery. 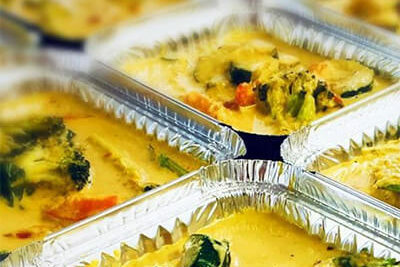 Choose from our full range of curries each box will be priced according to the curries that you order, box holds up to 12 individual frozen curries. Truly authentic, handmade, frozen curries delivered to your home or work address in one of our eco-friendly wool* packed freezer boxes. A luxury award winning product exclusive to Kent & East Sussex is now available directly to your door throughout the UK. 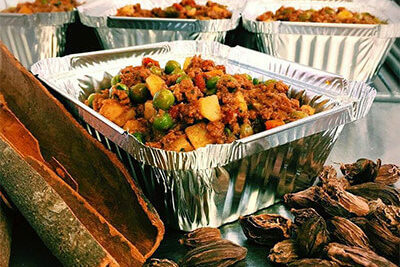 Get a unique variety of curries perfect to wow your guests at a dinner party or enjoy as your weekly treat. Our subscriptions give you one less thing to remember each month. A hand-picked selection of curries. Three box variations or choose your own mix of curries. Healthier option than a take away, in your freezer for your convenience. Makes an amazing gift for a birthday, someone moving house or going off to university. 10% off your first order, recommend a friend and you both enjoy a 10% discount. Going on holiday? You can either redirect your curries to your holiday address or why not redirect to a friend or relative for them to enjoy. Please note that subscription boxes are limited. These can be paid by Bacs or card and will go out Tuesday, Wednesday or Thursday to arrive the next day. You must be there to receive your box either at home or at work. Set up a standing order for the 1st of each month or every 3 months. Once we have received your payment, your box will be dispatched on the first Tuesday, Wednesday or Thursday preceding the 1st to arrive the next day. You can choose whether we text, email or call you to remind you your box is on its way. And receive 10% off your next order. Not only do you get 10% off your next order but your friend does to. If you recommend a friend to The Chai Stop Curry Club, when they order make sure they state your name or use the card included in your box.